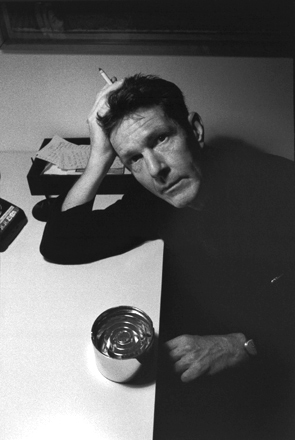 John Milton Cage Jr. was an American composer, philosopher, poet, music theorist, artist, printmaker, and amateur mycologist and mushroom collector. A pioneer of chance music, electronic music and non-standard use of musical instruments, Cage was one of the leading figures of the post-war avant-garde. Critics have lauded him as one of the most influential American composers of the 20th century. He was also instrumental in the development of modern dance, mostly through his association with choreographer Merce Cunningham, who was also Cage's romantic partner for most of their lives. Cage is perhaps best known for his 1952 composition 4′33″, the three movements of which are performed without a single note being played. The content of the composition is meant to be perceived as the sounds of the environment that the listeners hear while it is performed, rather than merely as four minutes and thirty three seconds of silence, and the piece became one of the most controversial compositions of the twentieth century. Another famous creation of Cage's is the prepared piano (a piano with its sound altered by placing various objects in the strings), for which he wrote numerous dance-related works and a few concert pieces, the best known of which is Sonatas and Interludes (1946�48). His teachers included Henry Cowell (1933) and Arnold Schoenberg (1933�35), both known for their radical innovations in music, but Cage's major influences lay in various Eastern cultures. Through his studies of Indian philosophy and Zen Buddhism in the late 1940s, Cage came to the idea of chance-controlled music, which he started composing in 1951. The I Ching, an ancient Chinese classic text on changing events, became Cage's standard composition tool for the rest of his life. In a 1957 lecture, Experimental Music, he described music as "a purposeless play" which is "an affirmation of life � not an attempt to bring order out of chaos nor to suggest improvements in creation, but simply a way of waking up to the very life we're living."